Chef Fabrizio Aielli's philosophy is to blend simplicity with the very best fresh ingredients in a menu that changes daily. 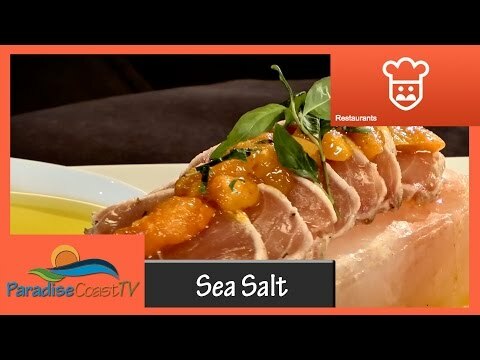 Sea Salt uses products of the highest quality that are prepared and presented in a unique way; while creating a warm, welcoming local environment that results in a truly memorable dining experience. Our contemporary seafood cuisine is prepared from the finest seasonal, organic and sustainable ingredients that come directly from local farmers and day boat fisherman whenever possible. Chef Aielli continually works on challenging himself and his staff to ensure that a visit to his restaurant is always a refreshing and memorable experience. 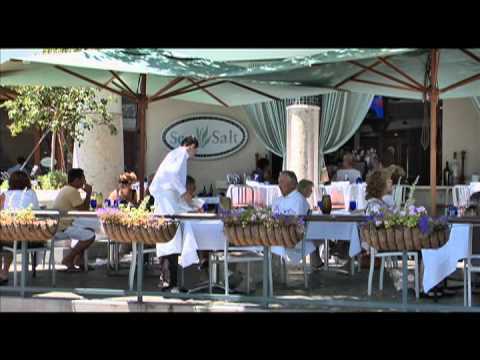 Sea Salt's aim is to create an exquisite experience by meeting and exceeding our guests' expectations. We believe that by providing a variety of menu and dining options, we give you the opportunity to select the experience of your choice. Choose from a variety of both large and small private dining areas inside Sea Salt or on the outdoor patio. The chef's table is an incredible blend of a shared food experience, interaction with Sea Salt's top chefs and an unbelievable culinary journey, with wines to match too if desired. Witness artistry in its most delicious sense, as our team of master chefs prepare an exquisite menu - perfectly to order - just a few feet away. This is a dégustation menu with a difference, comprising up to 11 courses of innovative and surprising combinations, textures, temperatures and flavors that genuinely challenge the mind and delight the taste buds. The chef's table is the ultimate gastronomical-experience. Under the direction of our experienced staff, we work closely with private parties, large and small, to create an unforgettable evening of sophisticated private dining. With Chef Fabrizio Aielli still presiding, the talented Chef de Cuisine Jason Goddard has created exciting new Group Menus as well as a Group Hors d'Oeuvres Menu for your fine-dining event. We are always happy to customize, based on your group's needs and desires. Sea Salt's Sea Glass Room is the perfect setting to host a memorable event. Partially enclosed in etched glass accented by wooden coffered ceilings, the room reflects the understated luxury of the main dining room. Floor to ceiling glass walls grace the room with soft lighting and the use of warm natural colors adds to the ambiance of a truly exciting place. The Sea Glass room can host from 8 to up to 40 guests seated and can be subdivided to accommodate different configurations and seating plans for various party sizes and needs. Menu options are carefully created and can be perfectly complimented with wine selections made by our sommelier staff. Sea Salt will provide you and your guests with an unforgettable experience.